As a proud group of old boys, the executive committee of the WBHS OBA want to reach out to you to provide an update on how we intend to enhance the association and build upon the previous foundations. • Raising funds that will benefit the school and the network of Old Boys. • Please forward this letter on to any Old Boy that you think would be interested in these newsletters. We are also very interested in your feedback. The OBA is for your benefit so please feel free to send any suggestions or comments to wbhsoba@gmail.com. My highlight as President so far has been to attend the Carruth House formal dinner. The young men were very impressive and Ian Rowe and his staff are obviously providing an environment which is creating lifetime bonds of friendship. The nights highlight for me was the haka for the Year 13 boys who were leaving the school. On the 16th November the OBA ran its annual golf tournament. The event was very successful, largely thanks to the generous support from the naming sponsor, Yovich & Co Wealth Management and the many hours given by our organisers; Kevin Salmon, Al Kirk and team. This year’s event will be bigger and better and I can already confirm a team prize of a flight around the Bay of Islands and the Hole in the Rock. My thanks to the new communications team. Due to their efforts there will be regular newsletters once more. Dear Members of the OBA, thank you for the opportunity to write a short update on progress at WBHS. As many of you will be aware the rebuild of the school is still very much a work in progress. We have spent time master planning and working with Ministry of Education in planning for the best outcome possible. We are at present preparing the tender documents for the design team with whom we will work for the next 12 months on a detailed design plan. Initially we all thought $50 million would enable us to build our dream school but as we have gone through the process the realisation that $50 million doesn’t quite go far enough has hit. That being said, we see this as a once in a lifetime opportunity to build a school and facilities that will be enduring. During the year we will be consulting with our school community and look forward to being able to share our plans for your feedback. Of critical importance is maintaining the historical and traditional taonga whilst creating modern spaces that reflect the way we want to teach. One of our major challenges is the exclusion of Carruth from the building project. We are continuing to try to find alternative sources of income to begin the much needed rebuild of Carruth alongside the school development. Our school roll has grown this year and we start the year with over 1,200 students, alongside this, our 2018 NCEA results were by far the best we have ever had at levels 1 and 2 (year 11 and 12). Last year saw the introduction of our Engineering Academy and this proved to be hugely successful. We are grateful for the support from Culham Engineering and the ongoing input we have received and apprenticeships offered. 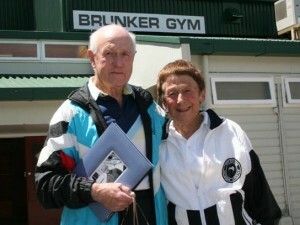 In sports and the arts the successes are too varied and widespread to mention although a recent highlight at the school athletics sports was Nik Kini who smashed the senior shot-put record which stood since 1966 and was held by NZ commonwealth games representative Roger Main. The old record was 13.00 mts, new record 14.58 mts. Nik is definitely a talent to keep an eye on in the athletics arena. We would love to get in touch with Roger so please let me know if anyone has his contact details. If you are a social media user you can keep up with all the results and events via our WBHS Facebook page. Finally I would like to acknowledge the support from the Old Boys’ Association and the Endowment Trust. I place huge value on the connections I have made with the men who continue to support the school in a variety of different ways. I look forward to strengthening these relationships over the coming years. I also pay tribute to David Silich. David was a generous benefactor of the school and the students continue to benefit from his generosity. His legacy will be enduring. A website to honour the WW1 soldiers from Whangarei School has been created by a student, Zac Miller-Waugh and Josh Clark (WBHS 2001 – 2002), the Computer Science teacher at the school. In addition to the website, it is intended that a plaque would also be set next to each tree down the drive. These trees were originally planted to honour the soldiers and each of the plaques will include a QR (Quick Response) code which will link to the soldiers’ information on the website. The website records details such as; name, photo, ID, DOB, service ID, place of birth, date of death, occupation, place of death, cause of death, biography, medals received, scanned records, any other relevant information we have about them. There is also a cost to get the plaques made and set at the base of the trees so sponsorship would also be welcome (advertising on the base of the plaque stand could be considered). The Old Boy’s Association will be laying a wreath along with the High School in the Dawn Parade this year. Any Old Boy that would like to march as part of the Association and the school can assemble in front of the RSA on Rust Avenue at 5.30am, with the Parade falling in at 5.40am. Keep an eye out for David Templeton as he will be representing the Old Boys. Kind regards from the Communications Sub Committee of the WBHS OBA.